This is a guest post authored by “Tex” Pomeroy. He is a Tokyo-based writer specializing in ICT and high technology. 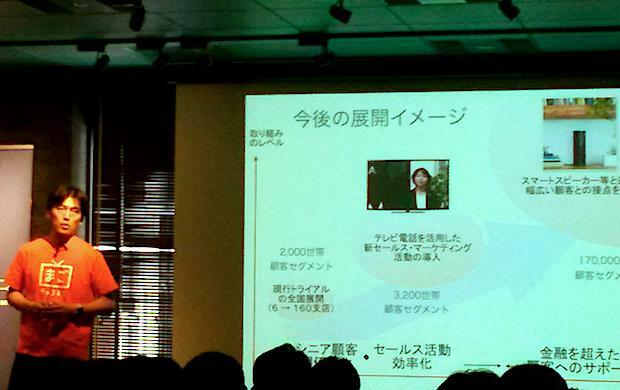 The Voyager accelerator program Demo Day was held on July 14th in Shibuya. 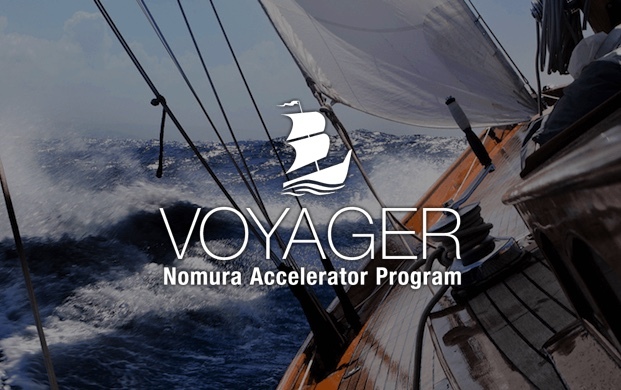 Run by the Nomura group of companies under the auspices of Nomura Holdings, support from the Nomura side with an eye to producing synergy – in addition to outside private-sector mentors (like former Intel Japan chief Ikuo Nishioka) as well as advisors such as academics and field professionals helped five startups gain traction in their business. 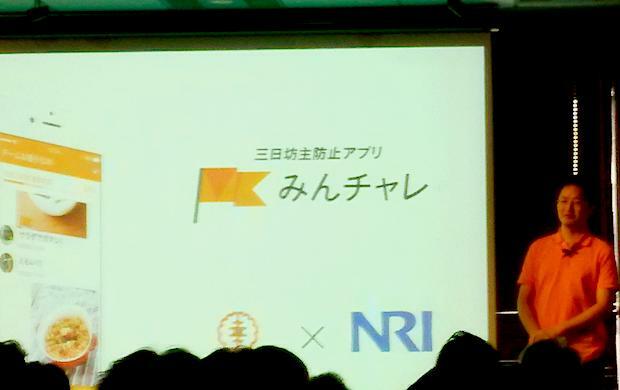 Chikaku, which offers a service providing links for senior citizens to their relatives as exemplified by their grandchildren via video tech (“Mago” in Japanese, hence “Mago Channel” as the service name), tried out their productline at half a dozen Nomura Securities branches. Much positive feedback from the trial participants and the securities sales staff was gained. 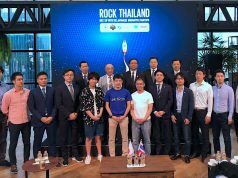 Chikaku hopes to expand their service further in cooperation with Nomura Securities. 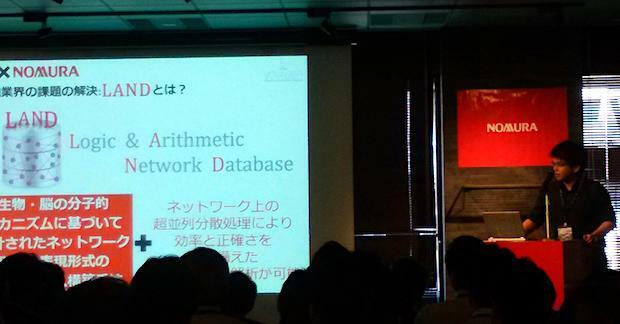 Simulatio, a venture business born out of research at Japan’s National Institute of Information and Communications Technology (NICT), unveiled its natural language-grounded “Logic & Arithmetic Network Database” (LAND). 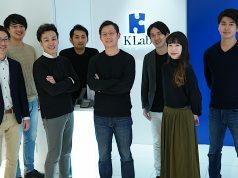 The startup aims to promote analysis and solution provision for the financial sector while improving the reliability of financial information for users. By collaborating with the Nomura group of companies, it looks to realize further enhancement of its services. 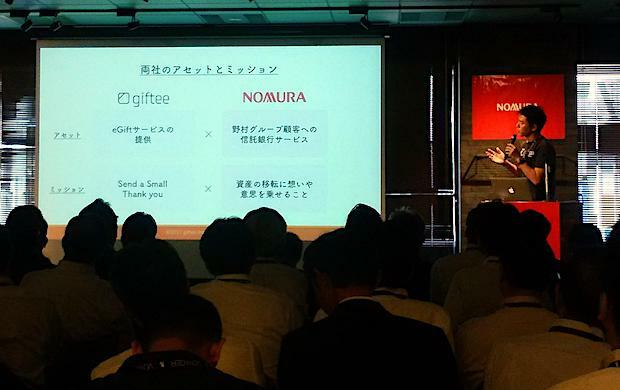 Giftee in conjunction with Nomura Securities Koshigaya (Saitama Prefecture) branch gave a trial run of its casual gift service “eGift” which focuses on the grandparents generation wishing to provide younger family members with small gifts. The Nomura group also stands to gain by making in-roads into the elder generation through jointly marketing the “eGift” services. 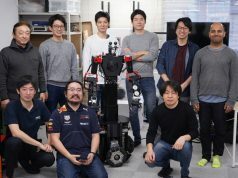 A10 Lab is offering the “MinChallenge” (meaning “Take on the challenge with everyone”) software which seeks to motivate those involved in various activities but prone to possibly dropping out. The startup hopes to improve people’s lifestyles so the general public will be motivated to be active in society. Research work on this endeavor was carried out jointly with Nomura Research Institute. Nagoya University Medical School-spawned Prevent wishes to set up a health-oriented community where residents can lower insurance, medical and other social costs based on proper diet or training. 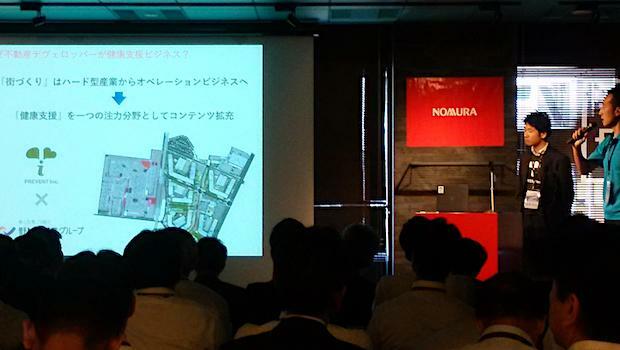 Such communities are to be establish by working together with real estate developers such as Nomura Real Estate.